Jalpaiguri is situated in the foothills of the lower Himalayas in the northern part of West Bengal. The entire topography is crisscrossed with rivulets, rivers, dense forests, hills and tea garden which make it a popular destination of West Bengal Tourism. The untouched beauty and widespread scenic landscapes make this place a most sought after destination for eco, wildlife and adventure tourism. Scores of tourists from several parts of the globe come here to experience the speckled beauty of nature in its pristine form. The name Jalpaiguri derives from the word ‘jalpai’ which means an ‘olive’ that grow here in abundant. And the suffix ‘guri’ means a place which associated with Jalpesh, the presiding deity (Shiva) of the entire region. The name is also believed to be borrowed from a Bhutanese term, ‘je-le-pe-go-ri’ which means a place where warm clothes are bought and sold. Because of its geographical location it is also called as the gateway for the entire North-Eastern States and Bhutan. The town was part of the Duars area of the old Kamarupa and later it became the part of Bhutanese kingdoms, which was later annexed by the British in 1864. And after Independence it was finally became the integral part of India. It is situated in the Dooars region on the bank of River Raidak and Murti. The vegetation of this Terai region of the Himalayan foothills is mainly grasslands which are interspersed with savannah woodlands. This topographical location makes it an ideal habitat for varieties of mammals, reptiles and birds. 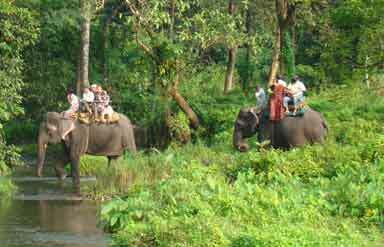 In 1949 Gorumara Forest became a wildlife sanctuary and in the year 1992 it was declared as a National Park. This park is spread over an area of 89 km of forest and known for its exotic collection of flora and fauna. This wildlife reserve is the home of more than 50 species of mammals, 20 varieties of birds, 30 types of amphibians and 300 varieties of birds which make it a paradise for bird’s lover. The Park is primarily known for the Indian Rhinoceros which is found here in plenty. 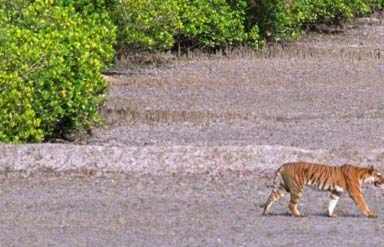 This is among the most famous wildlife sanctuary situated in Alipurduar Subdivision. It is home to a wide variety of wildlife specifically the Great Indian One Horned Rhinos and other animals in general. This national park was established in 1941 to protect the Indian one-horned rhino which is in critically endangered list. The sanctuary spread over an area of 216 sq km known for its deciduous forests, grasslands, sandy river banks, perennial streams and belt of elephant grass (tall grass). This national park is abound in wildlife such as one horned rhino, Royal Bengal Tigers, wild pigs, swamp deer, wild elephants and some rare and endemic species like the hispid hare, hog badge and sloth bear. This wildlife reserve is also a bird watcher's paradise and is one of the very few places in India where the Bengal Florican can be seen. Etymologically Rajbari means palace. It is a popular sightseeing for both tourists and locals. The palace ground is known for its architectural buildings, well laid portico, beautiful gardens and two temples. 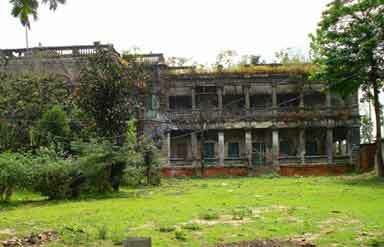 This palace was once the home of the Raikats, the kings of Baikunthapur estate. There are several beautiful lakes in Rajbari Palace ground which adds charm to this palatial structure. It is a beautiful tea estate of this region which is known for miles and miles of widespread tea plantation. Scores of tourists come here to see the rolling tea estates. The tea gardens are worth visiting which provides an opportunity to observe the way tea is manufactured from tea plucking to packaging. One can also avail in hand experience of the tea manufacturing process. This is an Art Gallery located opposite the Town Club Stadium showcases the art of the region. It has some of the beautiful collection of arts and artifacts which showcases the cultural aspect of this region. Tourists who have an artistic bent of mind must visit this place so they can see and learn the beautiful artistic form. Some of the other known attractions of this place are Chapramari wildlife Sanctuary, Chalsa, Murti, Khuttimari, Jalpesh and Rajabhatkhawa. By Air: Bagdogra airport is the nearest airdrome that connects Jalpaiguri district with the rest of India. By Train: New Jalpaiguri Railway Station is the major railhead of the district which links it to all the major cities in India. By Bus: Jalpaiguri is easily accessible through roadways of West Bengal which has regular bus services for this place. Though this place can be visited round the year but the best time to visit this place is from November to April when most of the wildlife reserves are open for tourists. Jalpaiguri has good luxury and budget hotels with splendid leisure and business facilities. During Jalpaiguri tour tourists can stay at many hotels, tourist Lodge, tourist hostel and tourist cottages.